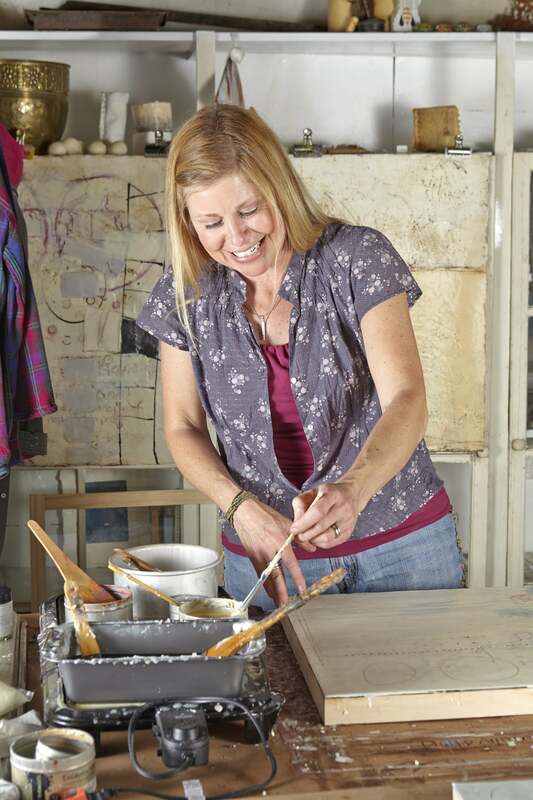 Artist, Author, Instructor and Innovative developer of EncaustiCamp and EncaustiKits, Patricia Baldwin Seggebruch began painting more than twenty years ago-always abstractly and evolving into encaustic from acrylic over ten years ago. Her love for the medium translates into her teaching, and students benefit from a passionate, engaging workshop experience filled with all the knowledge Patricia has acquired and developed in her forage into this rich and diverse medium. Patricia’s books, Encaustic Workshop, Encaustic Mixed Media, Encaustic Techniques: The Whole Ball of Wax and Encaustic Revelation are available on book shelves everywhere and two DVD’s in the medium are on the market thanks to FW Publishing and Creative Catalyst Productions. passionately to the studio as well as the planning desk. Now that she’s returned from her most recent stepping out-doing her ‘Reach more, Teach more, Inspire more!’ down under in Australia, New Zealand and Bali-Trish digs into her own studio to create the art that’s built through this two year experience. Entering into 2015 as a ‘year without encaustic’-in instruction that is- in which she will teach only at the annual EncaustiCamp, Trish looks forward to the evolution to the next risk-stepping out-she and her husband John will engage in. Watch the development of OPENstudio, their home-paired studio and retreat facility slated to begin serving art retreatants, BnB lodgers and guests in autumn 2015.